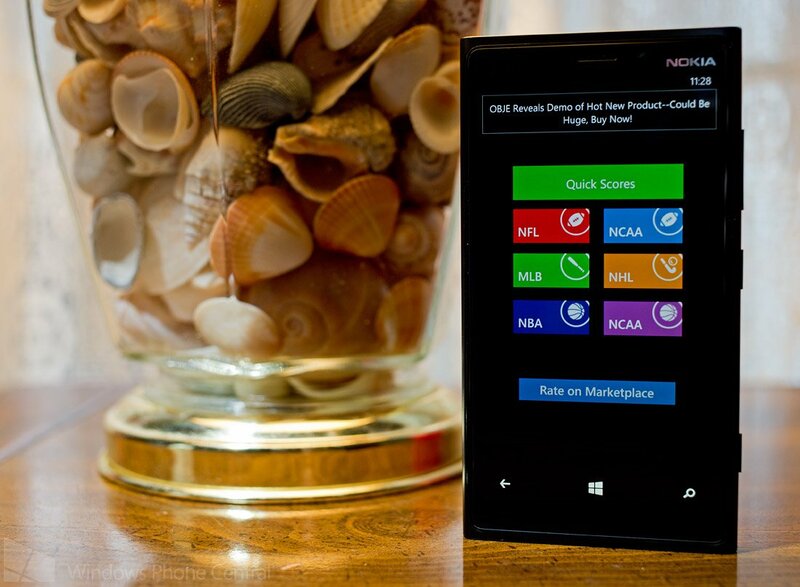 QuickScores is a simple Windows Phone app that delivers scores for six major sporting leagues. QuickScores doesn't have many bells and whistles but if you're looking for a quick and easy way to check scores, it might be worth a try. If a game is in progress, QuickScores will display the score and if the game hasn't started the app will show game time. Teams can be searched by keyword and there is a manual refresh button on each league's page. The search feature really comes in handy with sports leagues that have a healthier number of games, NCAA Basketball for instance. The downside to the app is that you can't pin separate leagues or individual teams to your Start Screen for quicker scores. Not sure if it's possible but a live tile for an individual sports league that rotates through the various scores would be nice. As is, QuickScores is a nice, simple Windows Phone app to let your quickly check scores on the go. 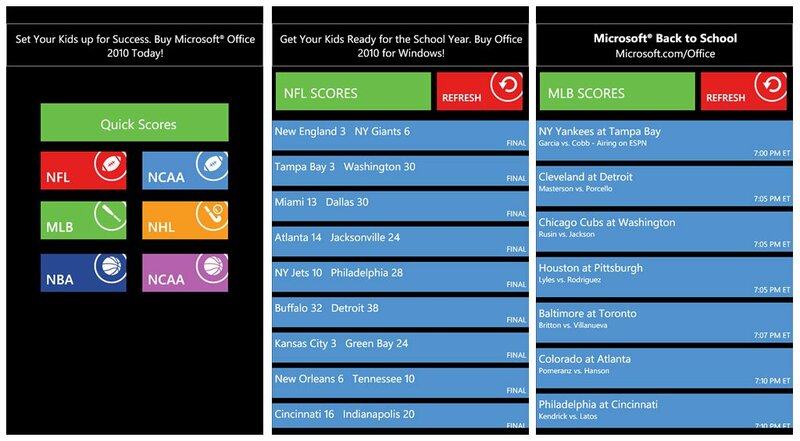 QuickScores is a free, ad-supported app for your Windows Phone and you can find it here in the Windows Phone Store.